Melting sulphur, 2 of 4. 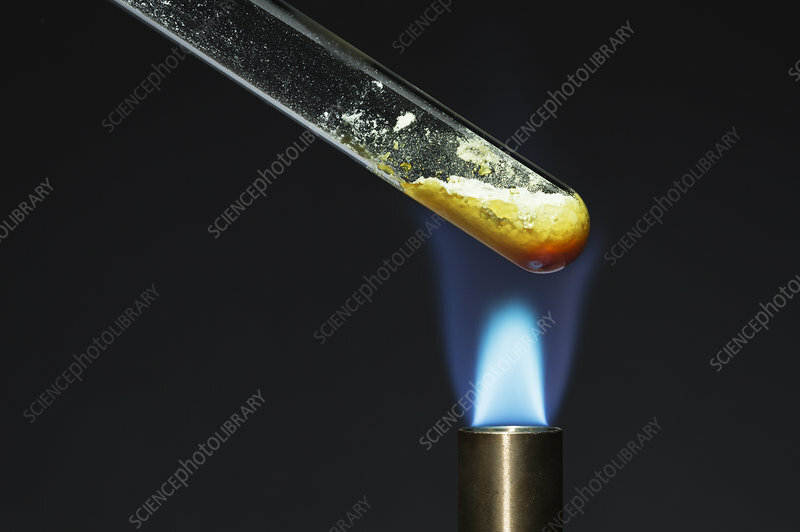 A test tube with powdered sulphur, S, is placed over a Bunsen burner flame. When heated, it first melts to a straw-yellow liquid and then darkens to a red-brown colour.